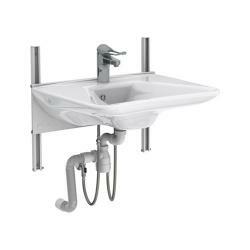 These height adjustable brackets are designed specifically for washbasins, and are used to create bathroom adaptations for people with different height requirements, such as seated or wheelchair users. 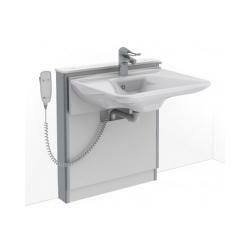 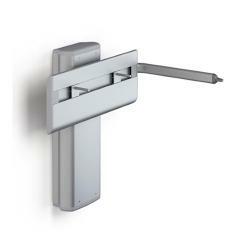 With manual, gas assisted and electric brackets available, plus systems designed to be incorporated into Pressalit Care's innovative wall track system, we're sure we have a suitable system for any situation. 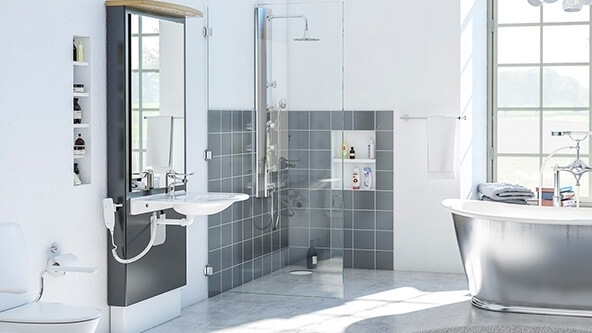 The Granberg range also includes designs which incorporate mirrors, lighting and cabinets into the lift, which all move simultaneously to the user's requirements. 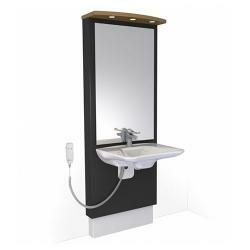 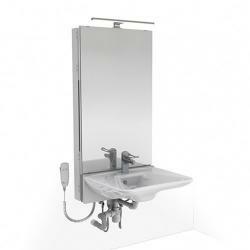 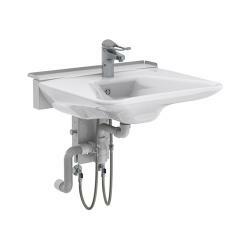 These systems can be purchased as complete units including the basin, or as brackets minus the basin, allowing you to fix your own washbasin if preferred.